There is one specimen block included (6.5x3.0x1.0 in.). 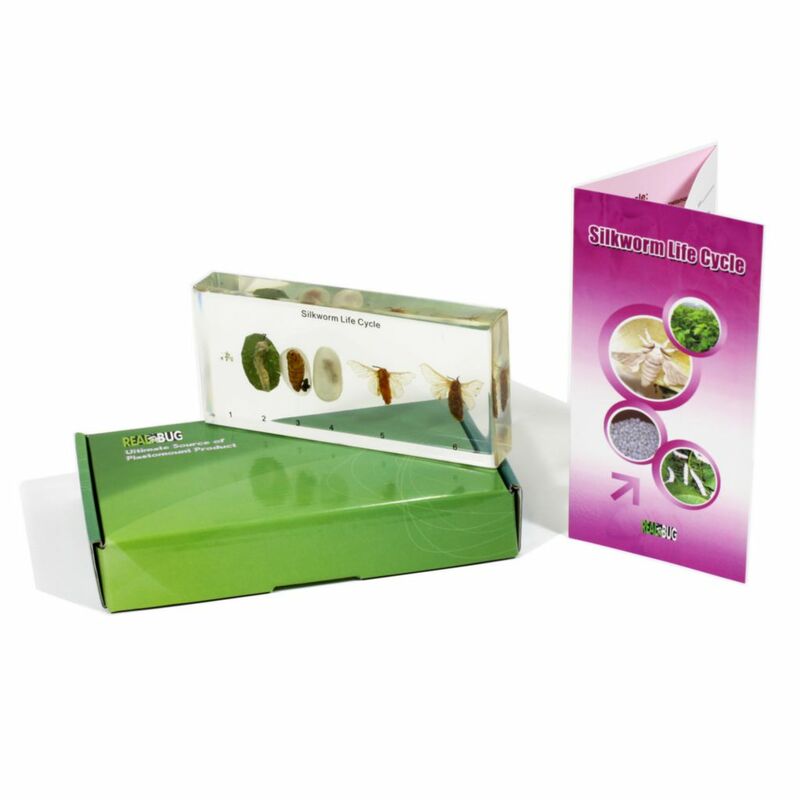 Specimens are preserved and encased in clear resin material. They can be observed from every side to see details. 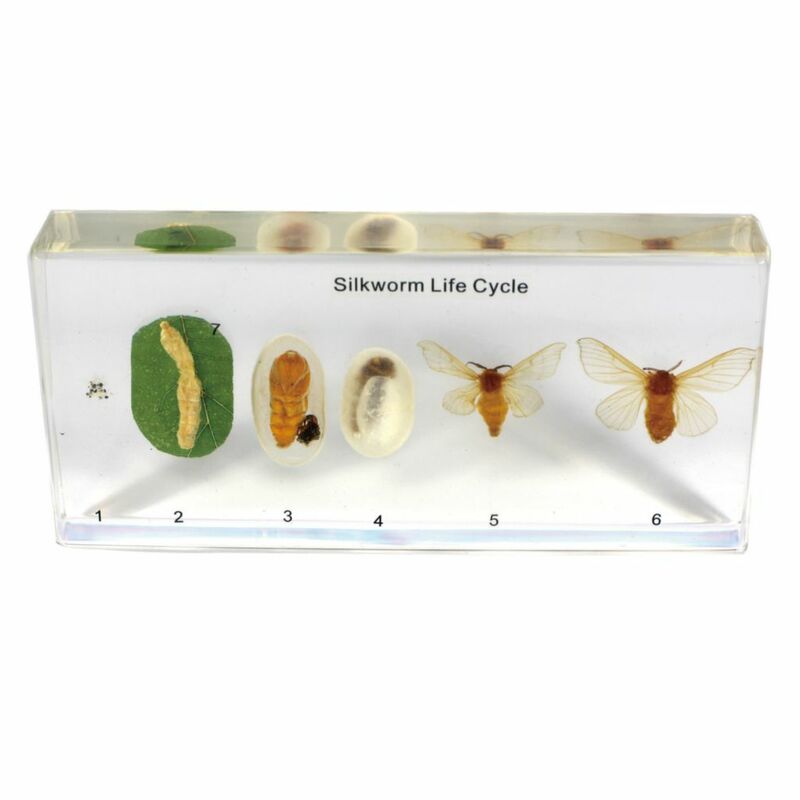 Specimens include the different stages of the silkworm (Bombyx mandarina). Teacher information guide, fact sheet, student activity sheet, and answer key are included. Size of product is 8.25x4.75x1.5in. The silkworm undergoes complete metamorphosis.